I could not wait any longer for SoD to come out on Android so bought myself a laptop and BG EE to start a full run through. I am currently a level 8 Assassin with a full party of NPC and on chapter 5. 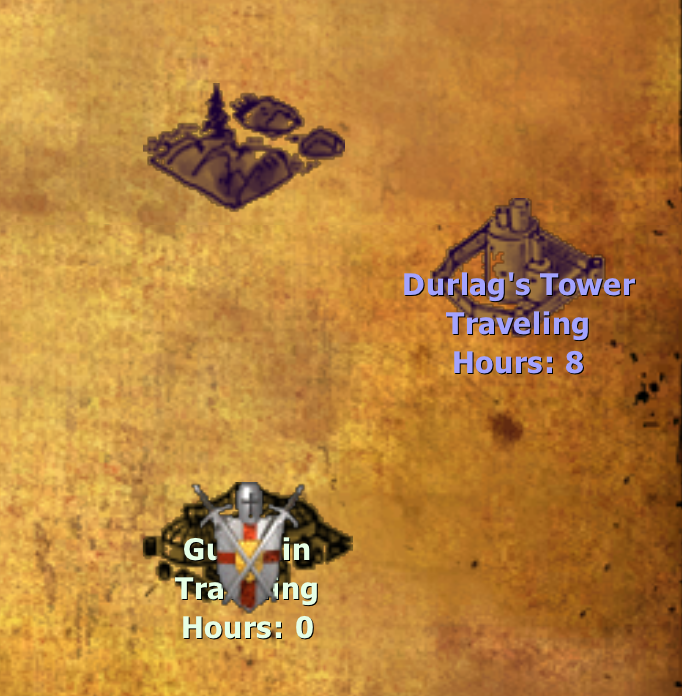 I have cleared all the wilderness quests and thought it was about time I went to Durlag's tower to get the tome of wisdom as I want to duel to a Cleric at level 13, however Durlag's Tower is not showing on my map. I have been to Ulgorh's Beard and declined Ike's tour, I have volunteered to look for Hurgon's dagger and brought the ward token from Galken and still Durlag's Tower is not showing on the world map. Any hints or tips would be appreciated. I will give that a go. It was never a problem on android it just used to show up. I thought it was further south than that. I'm fairly sure it's 'south' of Firewine Bridge (either that or 'south' of Ulcaster). P.S I didn't think you could exit the basilisk map to the right/east. I have tried to get to the tower from all the adjoining areas but without any success. I read somewhere that I need to be on chapter 7 but have never experienced this before. I'm not sure what's going on with your game, but I can assure you you can access the tower long before chapter 7. Does this help? Try accessing it from one of the adjacent areas, you might have forgotten one of them. Though I can't remember ever having any trouble finding the tower before so you might've stumbled into a bug. I just checked with v2.3 and found it by traveling north from Gullykin. That doesn't seem right but I can't access the game right now to check. Do I need to speak to the hafling first as he mentions going to the tower. I have completed the Gullykin quest. 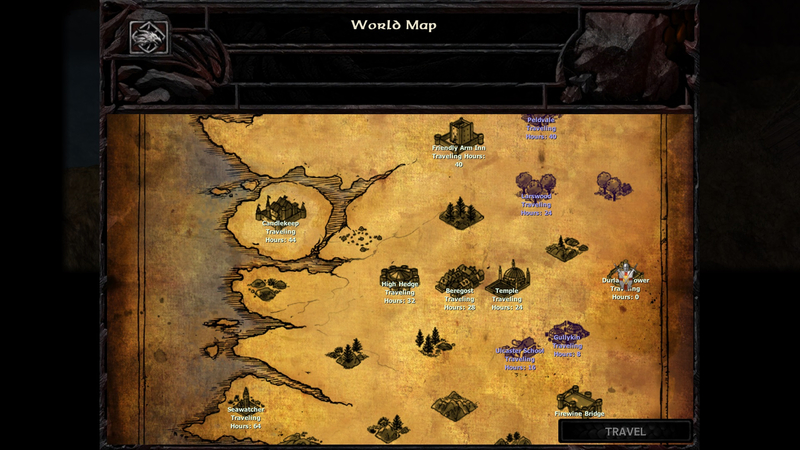 @Dev6 that's not the worldmap for unmodded BGEE. Durlag's Tower doesn't appear automatically on the map, but it's not necessary to start any quest to go there - as @Sarevok57 suggests just go to the basilisk area and exit to the east. No, I just jumped there and traveled. Well I was trying to help and happened to look at the wrong map, lol. I'll edit the post. Hope the OP can find it now. Okay soooo, the world map must have changed between v1.3 and v2.x. I'm still playing v1.3 and my map is the same as the one posted by @Dev6 . Sorry - I should have made that clear. The world map did indeed change slightly in v2.0. I have not had a chance to try any of your suggestions yet will look at trying them out tonight. I think that may be the case that I was used to playing on 1.3 android and I am now on steam 2.3 so that makes sense. I will let you know how I get on tonight. Hi all thanks for the advice it had moved right where you said it would be. Off to get my self a tome of wisdom now. The location of the tower was changed with the recent paches from being East of the Nashkel Carnival to East of the Basilisk Garden. Preferred the old location personally but it is as it is.